As a follow up to my blog entry from January called Why Metro Detroit needs a new MPO, I decided to share this schematic which attempts to lay out a very bold vision for what this might look like. Again, this is somewhat modeled after Portland, OR which has the only elected Metropolitan Planning Organization (MPO) in the United States. 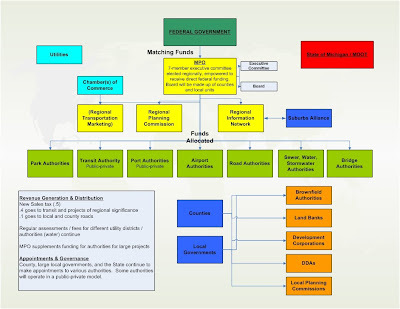 We may not need an MPO that is this robust or comprehensive (hey, I will take a regional transportation district like Denver at the very least), but if we want to get toward some sort of regional institutionalization where decisions are made with the region in mind, this is what it might look like. 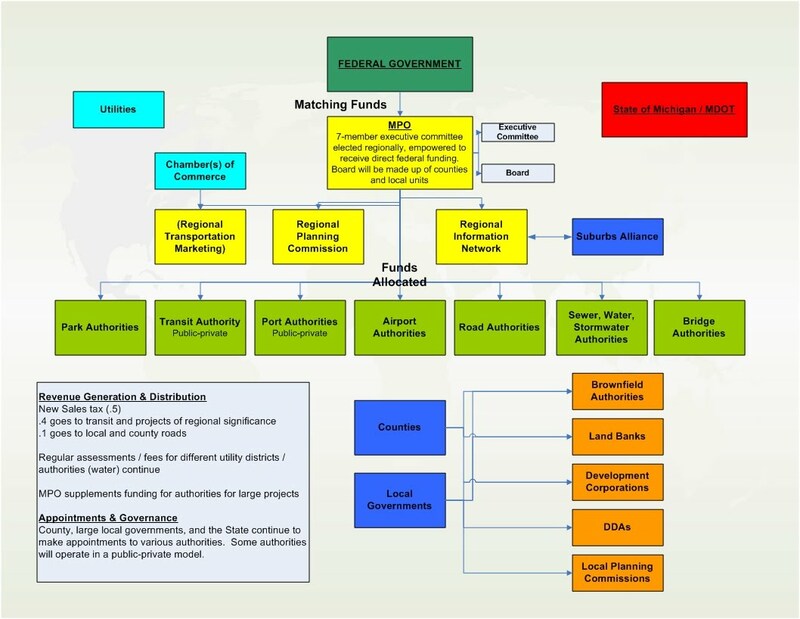 I put the feds at the top of the chart as the source of matching funds, and I laid out how a regional sales tax might be incorporated and allocated. Just food for thought, and nothing else.